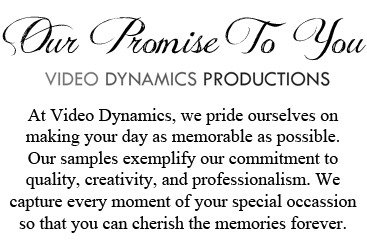 Since 1978, Video Dynamics has been providing video recording and editing services for any special occasion. The quality of our work along with our professionalism has lead to over 30 years of success in the business. We offer a full range of state of the art video services at competitve prices. We would be honored to be part of your wedding, bar/bat mitzvah, or special occasion.